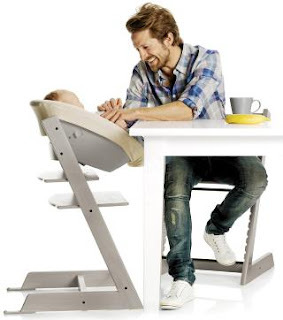 ellehermansen: Stokke Comes Out With New Tripp Trapp Infant Seat Addition! Stokke Comes Out With New Tripp Trapp Infant Seat Addition! Stokke has become a household name, as all of baby Edie's nursery stuff is of this fantastic Norwegian brand! 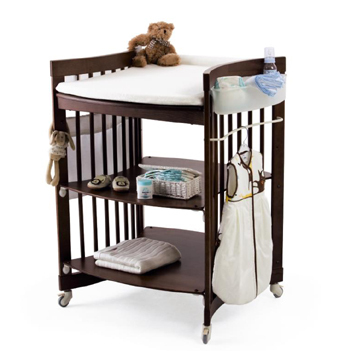 We have the Bassinet that turns into a lovely crib, then to a young child's bed. We also rock the changing/care table that will turn into a desk when she gets older. The Norwegians know how to think ahead! They are very well-made, solid wood products, while the craftmanship is amazing! We have nothing but good things to say about them! 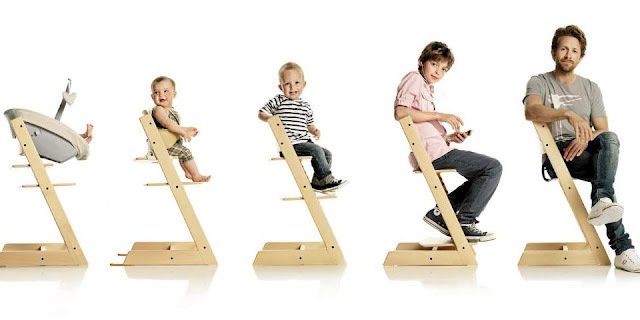 We recently read in the Norwegian paper that Stokke has come out with yet another addition to the Tripp Trapp chair family and I WISH they came out with it sooner! We got the Tripp Trapp chair from my in-laws as they have a couple and one from when my hubby was a baby and it's still going strong! As you can see, they added an infant seat that connects to the chair, or that you can take off to enjoy on the ground. I really feel the need for this as I feel awful when Edie is so low and basically under the table when we eat. I suggest to invest in these products for sure! Especially the Tripp Trapp chair which you can basically sit on for your whole existence - literally. Now that's getting your money's worth! They're very well thought-out. Love the change table that turns into a desk. I was going to use my desk as a change table, but then I realized I didn't want to get poop on my keyboard. Use the stuff featured by Elle and raise a baby with a feel for aesthetics.